Our late summer garden wasn’t too impressive, but to be fair, we have been focusing most of our energy on growing a tiny human. I am looking forward to getting back outside in the dirt though! Especially with my new garden partner. For the fall, we are planning on some varieties of lettuce and kale, along with maybe a broccoli or two. Lots of good green veggies! 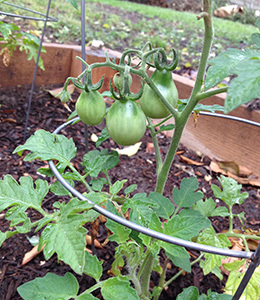 This entry was posted in Life and tagged backyard garden, garden, gardening, organic gardening, plants on September 21, 2015 by Chelsea. Despite my best efforts, I don’t have a lot of luck keeping succulents alive inside. But this little guy was lovingly placed out on the back porch, and given almost no special treatment, and seems to be growing just fine! He’s even growing a couple little babies! 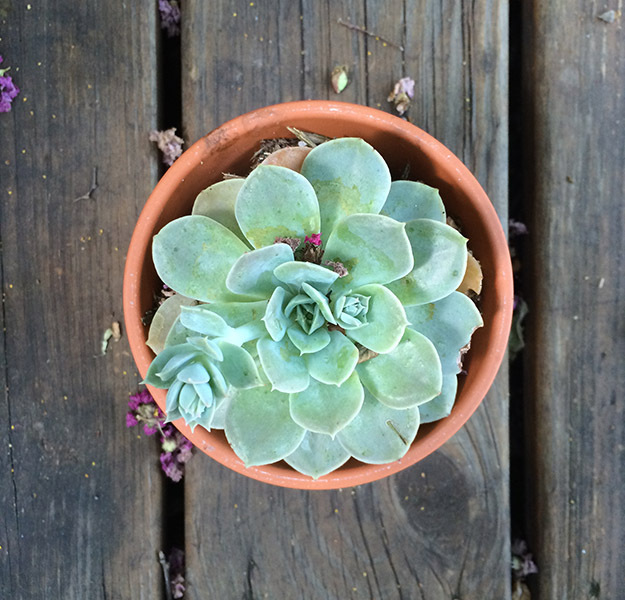 This entry was posted in Life and tagged garden, grow, plants, succulent on July 18, 2015 by Chelsea. It is like magic watching a garden grow. One day, its a tiny little plant. And then you look again, its two feet taller or growing food. 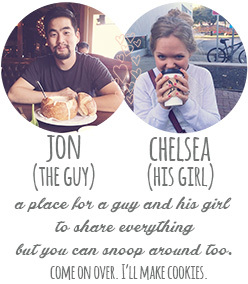 Ah-mazing. 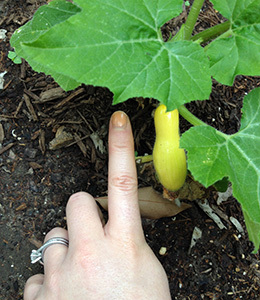 I’ve been fondly scrolling through garden photos from 2 weeks ago, and seeing how much they have grown. I can only imagine what I will be like when I have a real baby. There are a couple new notebooks in the shop to keep track of garden progress, planting plans, or grocery lists! 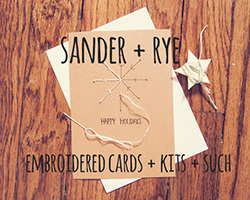 This entry was posted in Life, Shop and tagged embroidered, etsy, garden, handmade, notebook, plants, sander and rye, vegetable on May 7, 2014 by Chelsea. 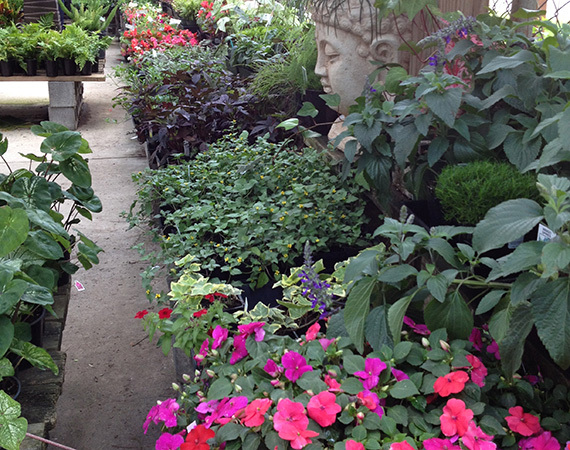 Our new favorite thing to do is go to garden stores. 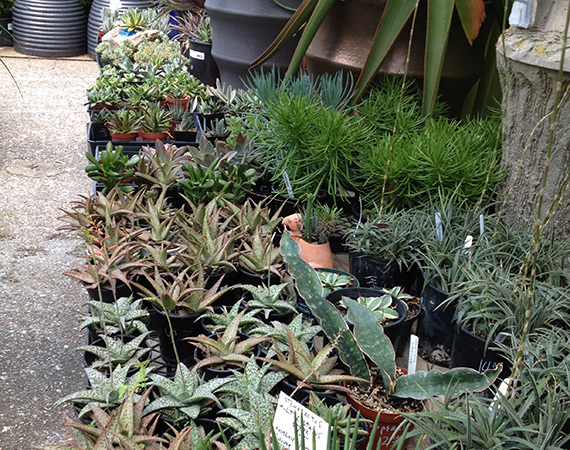 Not just because there are plants there, but because the layout and design of each nursery can be really inspiring. 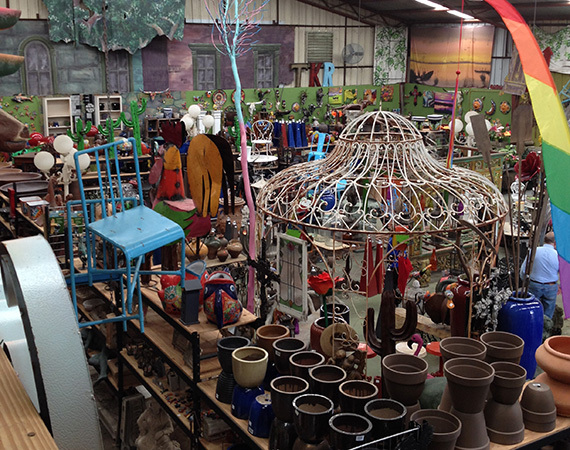 This nursery happened to have a huge warehouse full of trinkets. 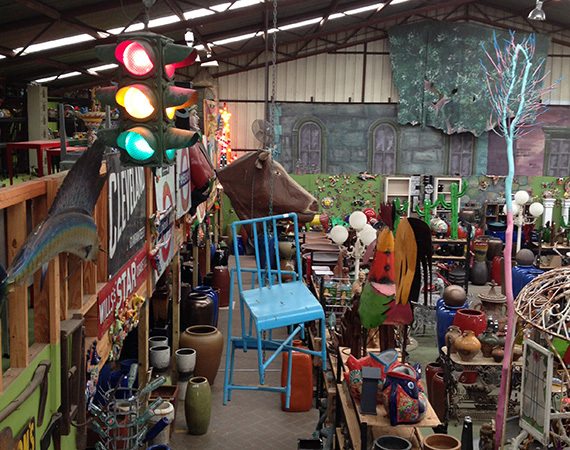 It was a mix of pottery, garden decorations, and American Pickers. 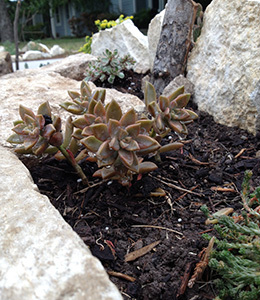 When we get our rock garden ready, I want to visit this succulent nursery in Austin. 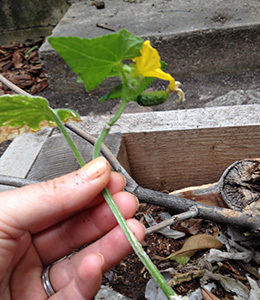 This entry was posted in Life and tagged garden, nursery, plants, yard on April 22, 2014 by Chelsea. We bought a variety of indoor plants when we moved into our house. I am pleased to say at least 85% of them are still with us today. Including this here funky little plant below. I wasn’t sure if he was liking the winter, but he sure is showing his enjoyment of the spring sunshine through the window. We were also trying to grow a little jade plant in a pot on top of our dresser, but he was starting to look sad, so I put him outside yesterday for some fresh air. As my luck would have it, we had a scary intense flash flood thunder wind storm in the evening, sooo hopefully he enjoyed his swim and is soaking up lots of sunshine today! 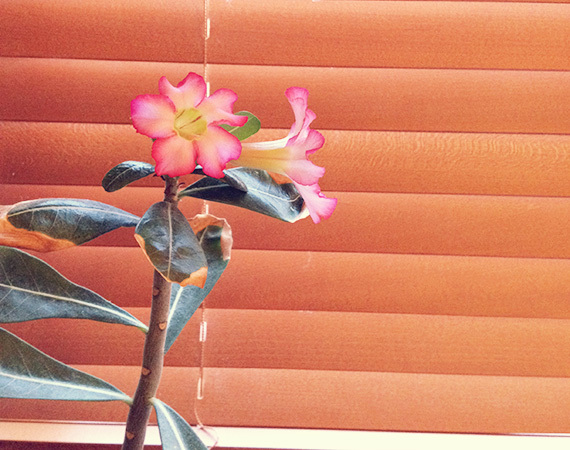 This entry was posted in Life and tagged garden, House Plants, indoor plants, plants on April 8, 2014 by Chelsea. Hens and chicks planted in a chicken planter. Get it?? We clipped some of these, and I brought them home to plant. I don’t know how they will do planted in a regular, boring pot, since they have grown accustomed to being so hilarious all the time. 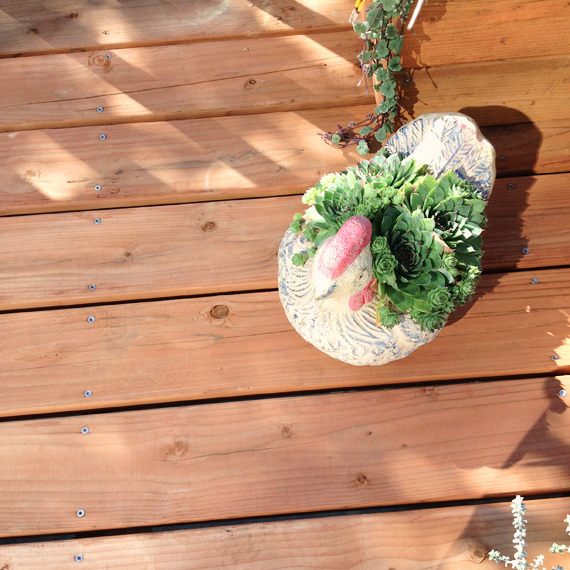 This entry was posted in Life and tagged garden, hens and chicks, plants, succulents on September 5, 2013 by Chelsea.